We are half way down in year 2014 and still have half year to go. Prospects still thinking of starting your own web hosting company or developers looking for cheap UK Reseller Hosting plans for their clients, here is a great chance save good amount of money. WebhostUK LTD, among leading UK web hosting provider is thrilled to announce the most awaited and demanding UK Reseller Web Hosting offer. WebhostUK provides best platform and servers for Turnkey Solutions. With our UK Reseller Hosting plans, we provide complete solutions including free end user support, Vision Helpdesk Software, free RvSitebuilder, free WHMCS billing software, free ENOM Reseller account etc. So prospects just need to sign up with our Reseller plans and start their own business. We are been into hosting business since more than decade and continue to provide cheap, reliable, secured and fast web hosting experience. Signup with our UK Reseller web hosting plans on Annual and Biennial term and get upto 12 months hosting absolutely free!! Our best UK Reseller Web Hosting plans offer a great track to prospects that are looking to start their own web hosting business and become an entrepreneur. Web developers, Web designers, IT solutions providers, Software Firms can take advantage of our cheap Reseller Web Hosting plans. Cost is major factor for reselling hosting services. Taking into consideration cost, WebhostUK provides Reseller hosting plans at compatible prices were prospects can take major advantage. Our Reseller hosting plans provides you with complete package of Free WHMCS license, Enom Reseller account, Free SSL and IP’s. We also provide free website migration and end user support. So in case, if you are not a technical person, you just need to contact we and our skilled and user friendly technical team will assist you. 1) Signup for Reseller Hosting plan on Annual term and get 6 months free hosting. 2) Signup for Reseller Hosting plan on Biennial term and get 12 months free hosting. 3) Make use of RESELLER6 and RESELLER12 coupon codes to avail discount. 4) To avail discount, you need to place new order. 5) Existing Customers can take benefits by placing new orders. Free Softaculous Integrated with Cpanel (300+ scripts). 100% private labeled end user support through ticket system. 24/7 Live Chat and Helpdesk Support. 20 Minutes Ticket Response Time, 1 Hour Resolution Time Guarantee. 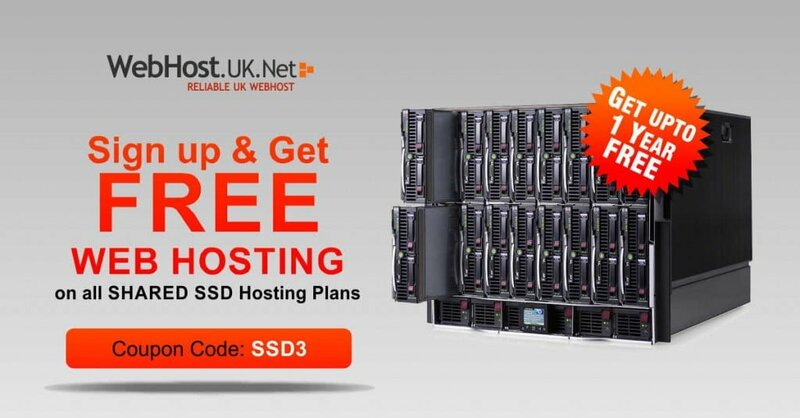 WebhostUK LTD, specialized in providing reliable, scalable, secured and cost-effective hosting services have announced a unique Reseller Hosting offer. Being into hosting industry for a decade, we ensure our clients get stable and satisfied hosting environment because which we have came a long way providing complete customer satisfaction and this inspires us a lot. We are pleased to offer best UK Reseller Web Hosting services along with best features among industry and get exciting summer 2014. Sign up with any of our Reseller Hosting plan and get 99% discount to try us for 1 month. To avail discount, make use of 99OFF coupon code. Reseller Hosting provides best opportunities for entrepreneurs like Web Designers, Web Developers, to start web hosting company, IT service providers, marketers etc. to generate huge amount of profits through reselling. WebhostUK wish to break the barriers of cost and profit margins for entrepreneurs. Many prospects miss out due to cost. Summer 2014 offer can give them a new opportunity to start their own services and make good profits. In order to sign up for UK reseller hosting, just pay less than £1 GBP and get started. We provide 30 days money back guarantee to encourage more customers. 1) Offer is valid for new orders. 2) Existing customers can place new order to avail discount. 3) The offer is for First month to try out our services. 4) Free addons will not be provided for first month. 5) If annual billing cycle is selected after first month, then 3 months free hosting will be added manually. For limited period of time, one of the leading UK Web Hosting Providers, WebHostUK is offering 50% Discount on its Xeon E3-1220L 2.2 GHz Dedicated Server. This offer is available on New Orders. To redeem 50% Discount use 50XEONE3 Coupon Code. Note: The offer is valid only for today. Please be advised, we only have limited stock of these servers available and will be sold on a first come first serve basis. WebHostUK Dedicated Servers are ideal for IT professionals and SME’s that requires high performance and secured servers for their websites and applications backed with consistent and reliable network. With no set-up fee and server deployment within 24-48 hours, customers can enjoy the benefit of Fully Managed Servers at no minimum term contract. All Dedicated Server plans are fully managed servers including Server setups, OS optimization, security tweaks and 24/7 server monitoring with reboots. Our skilled server administrators are available round the clock over live chat to provide you instant technical support. All Dedicated Servers are backed with 99.9% Network Uptime Guarantee SLA. Hurry Up and Order now before Stock gets over! Should you have any queries about the offer, please feel free to email sales@webhostuk.co.uk. 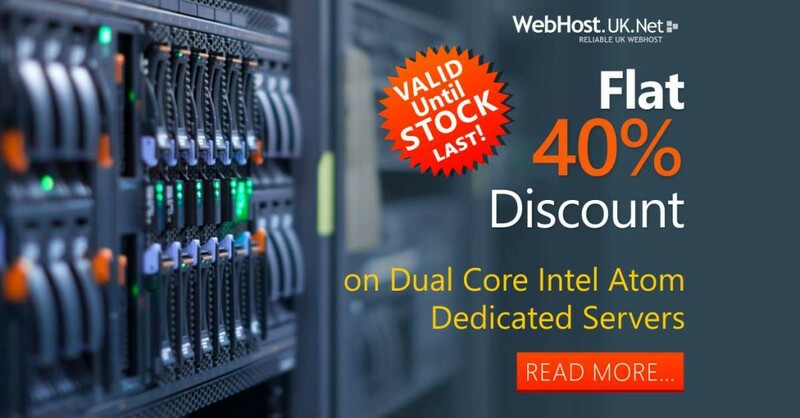 UK web hosting provider, WebhostUK LTD today announced Flat 40% discount on Dual Core Intel Atom Dedicated server for limited period only. 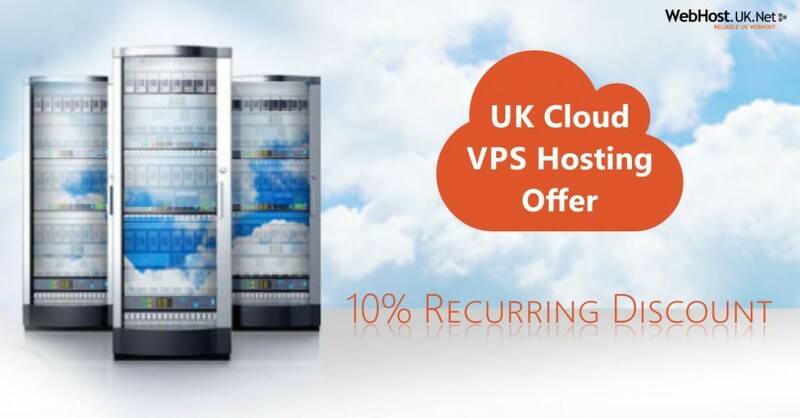 This a great opportunity for customers looking to upgrade Hosting plans from VPS to Dedicated servers. 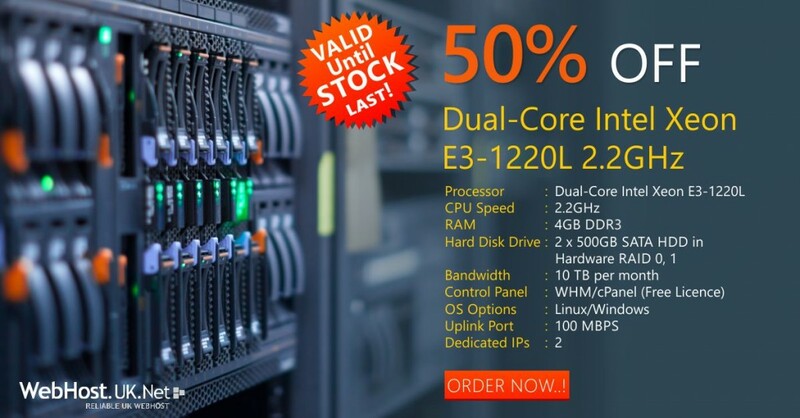 Dual Core Atom dedicated server range is ideal range of server for Ecommerce based websites, mail or database servers, file storage, forums, media and video streaming etc. The offer is valid for both Linux as well as Windows based server. WebhostUK Dedicated Servers provides high flexibility, instant setup, free migration, assistance for third party software applications installation, better control and enhanced management for an impressive all-round performance at an affordable price. Atom server comes with Dual Core Intel® Atom™ processor 1.8GHz, 2GB RAM, 1×250 GB SATA II HDD, 5TB bandwidth monthly, 2 Dedicated IP’s. The server’s actual cost is £100 GBP but as per offer, it would cost £60GBP including cPanel control panel. WebhostUK Dedicated Server hardware comes from Dell. We use Standard Dell chassis which is most reliable server Hardware Company. WebhostUK offer wide range of Dedicated Server which are remarkably high in performance and caters customers to high level of satisfaction. We offer fully managed Dedicated Servers. Our servers are monitored round the clock by our expertise engineers and backed by 24/7 quality support services through Live Chat and Emails. All Dedicated Servers offers 99.9% Network Uptime Guarantee SLA. Note: The Dedicated Server Offer is Valid until stocks last! Monday, March, 3, 2014, London, United Kingdom: UK Web Hosting Provider, WebhostUK LTD (https://www.webhostuk.co.uk) announced the launch of ideal and optimized Drupal Hosting plan to fulfill client requirements. Drupal is well known free and open source content management framework which is based on PHP. More than 2% of websites on internet uses Drupal framework at back-end. Drupal provides great amount of flexibility to deploy small websites such as personal blogs to high traffic oriented business based websites. Drupal is distributed under GPL (General Public License) and is maintained and developed by a community of several users and developers. Drupal content management framework runs on any platform that supports running of web-server including PHP and Database like MySQL, MSSQL etc. Drupal core comes with every basic feature needed to deploy a website such as registration for user account including maintenance, customized page layouts, RSS feeds, administrating system, general classification. Drupal core installation is not only limited for single website but also for multiple user blog, Forums and community based websites. “Drupal is highly recommended for government websites and business sites with heavy traffic, said Tim Harris, Business Development Manager of WebhostUK. He further added, “We have developed a unique Drupal Hosting plan along with fast, reliable and secured server environment for Drupal websites. We want to provide best infrastructure and user friendly Hosting platform to our valuable customers”. WebhostUK Drupal Hosting plans are hosted on high-end and optimized Hexa Core Servers with 64GB RAM and Pure SSD Drives. Servers are located in best datacenters based in UK and US. WebhostUK provides 24X7 quality support services through Live Chat and Tickets (Email support). Servers are monitored round the clock by system administrators to provide reliable and to deliver 99.9% uptime guarantee for hosting services. Drupal Hosting plan starts from £5.00GBP/month powered by world’s best control panel cPanel. SSD drives server delivers faster response time and less chance on hard drive failure. Drupal hosting plan are setup immediately after signing up within few minutes and comes with 30 day money back guarantee. WebhostUK LTD is a UK based fully managed web hosting service provider since 2004. WebHostUK provides wide range of web hosting services like Domain name registration, Shared Hosting, Reseller Hosting, SSD Cloud VPS, Dedicated Servers, SSL certificates and many more.